My orientation toward individual therapy has a strong humanistic flavor. In the words of Irvin Yalom, "it's the relationship that heals." I desire to form a warm and supportive relationship, free of judgment, and full of unconditional positive regard. In doing this, I take time to understand clients through their own eyes and together we form an alliance and work towards goals as a team. In addition to a humanistic influence, I also incorporate many Dialectical Behavior Therapy (DBT) skills, positive psychology interventions, and strongly encourage patients to take care of their Minds, Bodies, and Spirits. I welcome individuals from all walks of life and I celebrate diversity. I have experience working with individuals who struggle with depression, anxiety, bipolar disorder, thought disorders, personality disorders, trauma, and dual diagnoses (mental health and substance use diagnoses). I feel a deep sense of connection with all of my clients and have the utmost respect for their journeys. If you or someone you know is interested in receiving more information about my services, please feel free to contact me and I will gladly answer your questions. I have been helping people all of my professional life. Starting first with medicine, my career later shifted to treating addictions and becoming a life coach. During the many years I treated individuals from substance addictions that I became immersed in the study and teaching of mindfulness. The benefits of mindfulness became readily obvious for me personally, as well as for my clients. My business, Minds at Peace LLC ( MindsatPeace.net) uses individual and group settings to teach a mindful approach to those looking to heal from addiction, or overwhelmed by emotional and physical stress. In addition I am the only provider in the TriState certified in Mindfulness Training for Smoking (MTS), an immersive, highly effective method to quit smoking and stay quit. Today I run marathons, compose music, and mindfully approach the way I eat and interact with our environment. And in my spare time I'm writing a rock musical, "HIGHER, about the rollercoaster of emotions that speaks the truth of individuals and families struggling with heroin addiction . I am a licensed mental health therapist with a great deal of experience working with children and teens (and their families), young adults, and adult women. If either you or your child is experiencing social and emotional difficulties, or life is feeling challenging or "not quite right", I invite you to contact me to decide if therapy would make sense for you at this moment. I have specialized training in the areas of play therapy and trauma therapy, and use a variety of interventions, including expressive arts and EMDR (Eye Movement Desensitization and Reprocessing) therapy, to help tap into unexplored issues and – most importantly – your innate powers. I take an individualized, strengths-based approach to find practical solutions that work for each one of my clients. I work to increase emotional intelligence and build a "toolbox" of coping skills to help you or your child better navigate life's challenges. Above all, I believe in the power of the therapeutic relationship to unearth strengths that have been buried and discover potential that has been locked away. I invite you to contact me to begin this journey for either you or a loved one. I am a Licensed Independent Marriage and Family Therapist. I specializing in helping individuals heal from difficult past events, and working with couples to create stronger and more meaningful connections. My practice, Redwood Counseling (link to www.redwoodcounselingcincinnati.com), is based on the vision of Healing, Growth, and Resiliency to help individuals and couples heal from the past and thrive in the present. As a former Ecologist, I draw from the power of research to inform my work, and have trained in therapy approaches that are shown to be effective, such as EMDR and Emotionally Focused Couples Therapy. I also offer Expressive Arts Therapy, as the arts can provide us with a way to understand that which can be difficult to put into words. If these approaches speak to you, feel free to contact me for a free 15-min phone consultation! I believe wellness and personal growth are best pursued within a trusting, judgment-free, safe, open, empathic, and honest therapy relationship. I strive to develop this type of relationship with each and every client because within that relationship lies the foundation for lasting change. I'm fully committed to exploring and understanding each client's perspective, background, culture, values, lifestyle, and choices. In our work together, I hope to help my clients discover their strengths and learn the skills necessary to develop lives they want to live. To achieve therapeutic goals, I integrate elements of multiple, science-supported models of treatment, including insight-oriented approaches, cognitive behavioral therapy, and third-wave behavioral techniques (Dialectical Behavior Therapy, Acceptance and Commitment Therapy). Or more simply: exploration, acceptance, change, and flexibility. I am a clinical psychologist with a Doctorate in Psychology from Xavier University. I was first trained in dialectical behavior therapy (DBT) in 2011 by Dr. Nick Salsman, a Behavioral Tech trainer and former student of Dr. Marsha Linehan, the creator of DBT. I have been conducting DBT in a variety of settings since then and am currently pursuing certification through the DBT-Linehan Board of Certification. If you are interested in joining a fully adherent DBT group please contact Dr. Bailey Bryant to schedule a consultation. Niki Pappas is a certified Integrative Nutrition Health Coach. Her transition from a 20-year career in marketing research began in 2011 with her coaching certification from the Institute for Integrative Nutrition. Since then she has worked with hundreds of private clients as well as members of employee and social groups to support them toward better health and greater happiness. Niki believes in the transformative power of active listening and conversation and loves connecting with her clients – and helping them connect with their own thoughts and feelings through mindfulness and values identification. Niki also believes strongly in yoga for its benefits to body, mind, and spirit. She’s practiced seriously since 2011 and now teaches flow and yin classes around town. Niki completed 200hr and 300hr trainings with Will Brashear of the Cincinnati Yoga School. She has also studied and now provides Thai Yoga Bodywork and CranioSacral treatments to her clients – indeed, her favorite program offerings include alternating coaching and bodywork sessions over several months. Niki has lived all over the Cincinnati area since moving here in 1999, raising two sons in Wyoming, moving downtown, shifting to Hyde Park, and now residing in Amberley. You can find her on Facebook at Niki Pappas Wellness where you can learn more about her Mind/Body services and enjoy her blog. I started doing yoga back in 1995 with a Jane Fonda VHS tape. Over the years I did yoga at home, in studios and community centers as we moved from Ohio to NJ to Florida and back, combining it with walking, running, biking and hiking. Six years ago I became more committed to practicing yoga regularly and appreciated the deep joy and peace that I didn't get from any other activity. I wanted to find out WHY yoga felt so good, and so I began Yoga Teacher Training at the Bija Yoga School in downtown Cincinnati. (Bija is led by The Yoga Bar founder Rachel Roberts, who studied under leading teachers in Asia, Europe and India and brought the wisdom back here to her hometown). I am now RYT-200 certified and have specialized training in Yin/Mindfulness. Slow and gentle yoga has eased the pain of my herniated disk; I also appreciate the introspective aspect of yin yoga so we can, as yogi Rolf Gates says "be calm and still in action, yet vibrantly alive in stillness." I feel strongly that yoga teachers should be there to encourage individuality, make helpful suggestions and ensure safety so that the practice truly belongs to the students. I hope to help spread the wonderful feeling from the spiritual and physical therapeutic benefits of yoga. “Let Food Be Thy Medicine, and Medicine Be Thy Food” –Hippocrates. As a Registered and Licensed Dietitian Nutritionist, I have an integrative approach to my work with helping clients develop a healthy relationship with food. I received my B.S. in Nutrition, Foods and Exercise, from Virginia Tech University (concentrations in Nutrition and also Exercise Health Promotion), and my postgraduate Dietetic Internship at Ingalls Memorial Hospital in Chicago, Illinois. I have served as the Personal Nutritionist and Executive Assistant to Joe Cross, the star of the award-winning documentary Fat, Sick & Nearly Dead 1 and 2, as well as worked with hundreds of individuals in my practice as a Dietitian. I am a certified American Council on Exercise Personal Trainer and Group Fitness Instructor and Yoga Alliance Registered Yoga Teacher. I have completed 2, 200-Hour Yoga Teacher Training’s (in Seattle, WA in 2013 and Rishikeshi, India in 2015). I aim to integrate different aspects of yoga, mindfulness/ mindful eating and the practice of breath work when working with my clients around nutrition and their health goals. I have specialty experiences in weight loss, blood sugar regulation/diabetes, hormone imbalances, eating disorders, autoimmune conditions, gastrointestinal disorders, inflammation, cancer, and chronic health conditions. 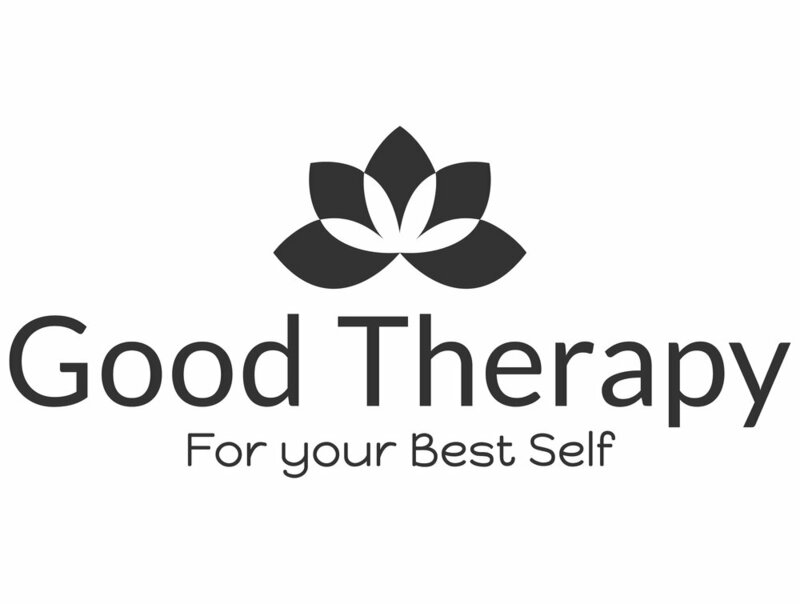 I have recently moved to Chicago, but had such a wonderful connection with the integrative services provided at Good Therapy Cincy (when I was here in Cincinnati), that I am now continuing my work with Good Therapy by taking clients online via a secured virtual consulting platform! =) From video consults and a digital food diary app, synchronized FitBit and iHealth data capability, to 24/7 access to a Registered Dietitian professional, we have the tools and credible coaching to help you make effective, sustainable lifestyle changes! It's like having a personal Dietitian right in your pocket! Learn more about the amazing benefits of our virtual work together HERE and sign up for a FREE 30 min introduction consult with me HERE.